As Valentines day quickly approaches its time to make fun little gifts to give to loved ones...why not re-use something that fills up our trash cans rather quickly and re-purpose that trash into a tiny treasure? 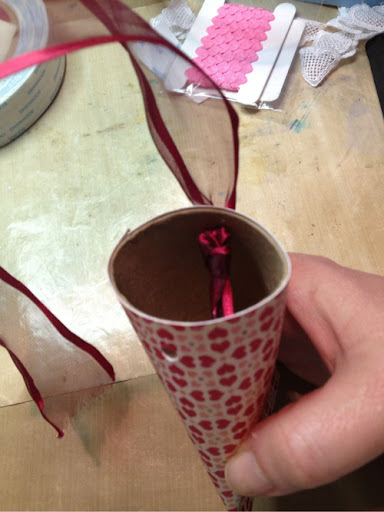 Here is a quick tutorial on how to use toilet (or loo for my international friends) paper rolls into a sweet little holder for your Valentines Day treats. Note: I Saw this on YouTube several times so I can't take the credit and don't know who to attribute it to. This little flower/treat holder is a little tribute to Paris "The City of Love"! Start with your loo roll and cut your design paper or tissue paper or even pretty wrapping paper (whatever you fancy) into a 4 1/2x 5 3/4 rectangle. 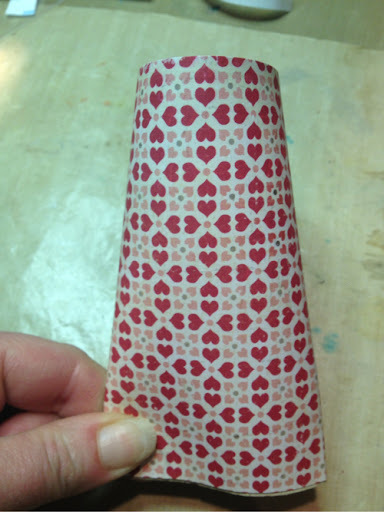 If you are using a pattern that moves in a certain direction keep in mind the 4 1/2 sides are verticle. 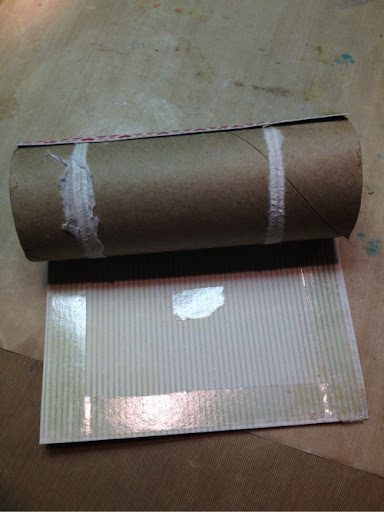 Apply adhesive to the backside, attach the end of your paper and roll it around the tube. 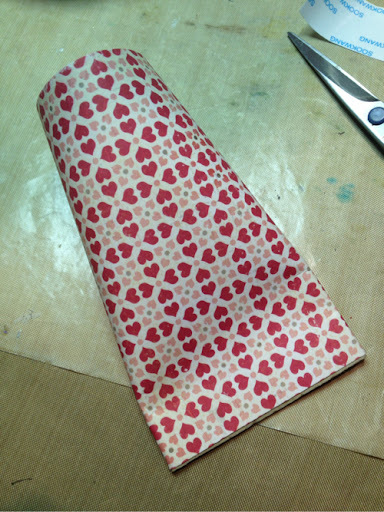 The seamed side will obviously become the back of the holder. 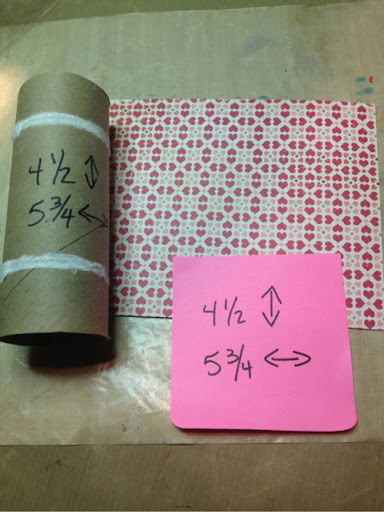 Crease the sides of the bottom of the roll. 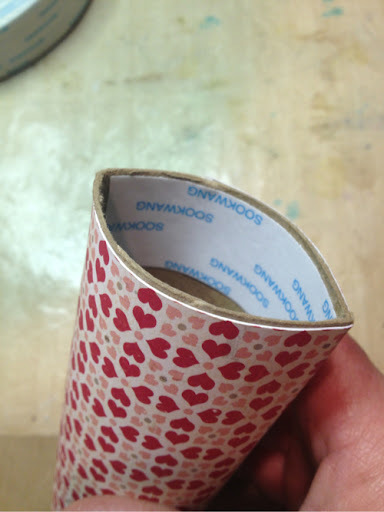 After you remove the backing of the adhesive press the bottom edges together. 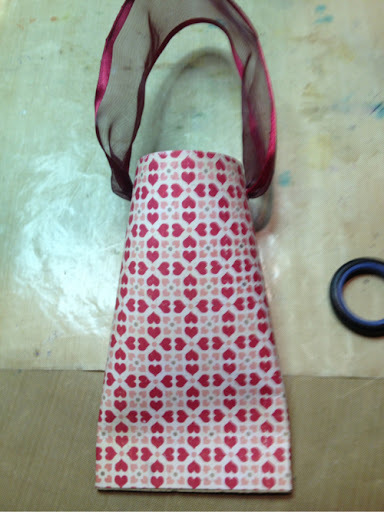 Punch holes on both sides of the top and string ribbon or just hot glue to the interior for thinner handles. Finish handles and Voila! Let the real fun begin!!! You can fill the holder with candies or wrap your candies up in tule and set them inside for a more decorative look, all kinds of fun possibilities for this adorable project. Thanks for stopping by, if you like what you see please leave a comment and join my blog, I love making new friends! OMG Adrienne this is spectacular, the treat tutorial as well as the beautiful finished project look out of this world, amazing work. Love it , very pretty! A wonderful project, it is a great holder for a gift. Thank you for sharing it with us at CCM this time. Wow...this is amazing. You would never know this was made with a tp roll. All of the embellishments are beautiful. Thank you for joining us at One Crazy Stamper this month for our LOVE challenge. 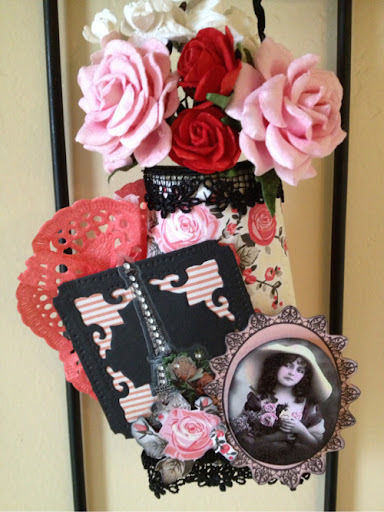 Thanks for joining us at Crafty Cardmakers for our Vintage Love challenge. 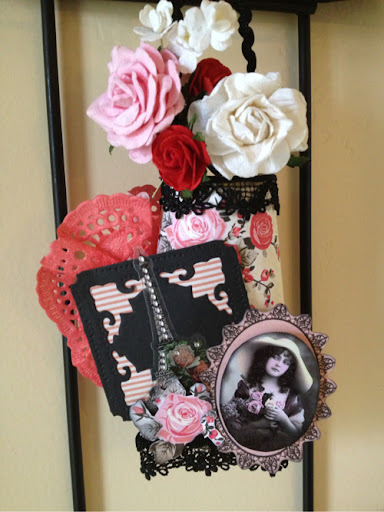 What a super creation and you sure don't have to look far to get the base :) Love the vintage image and the pretty lace. Thanks for joining us at Sugar Creek Hollow.